“What goes around comes around” is a very truthful idiom in the cruise industry because its players are often regulars—even if (or when) they change companies. 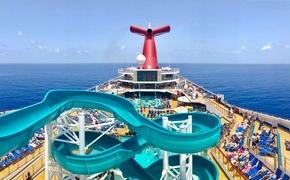 In other words, there have been many shakeups recently among cruise brands, but the faces are familiar. Even on the media relations side of things that I am regularly in direct contact with, my colleague Harrison Lou has recently reentered the fold. From 2007 to 2015, he was previously Manager, Brand Communications for Royal Caribbean International and Azamara Club Cruises before heading shoreside for nearly two years as Director of Public Relations and Communications for Four Seasons Hotels and Resorts, Nevis. Now, he is back at sea as Senior Director of Corporate Communications for Regent Seven Seas Cruises. Of course, such swaps happen on higher executive levels as well. Just consider John Delaney, who after more than a dozen years with Carnival Corporation including serving as Vice President Revenue Marketing for Holland America Line and Senior Vice President Sales and Marketing for Seabourn, is now the President of Windstar Cruises. Similarly coming from President, the Americas for Silversea Cruises for almost two years followed by being Vice President of Sales and Marketing for Azamara Club Cruises for around the same amount of time, Ellen Bettridge has landed as President and CEO of Uniworld Boutique River Cruise Collection. The lesson to be learned from the latter two instances is that as smaller companies like Windstar and Uniworld begin to grow, opportunities for leaders to be promoted within the industry are great. As new companies emerge, there are positions to be filled as well. 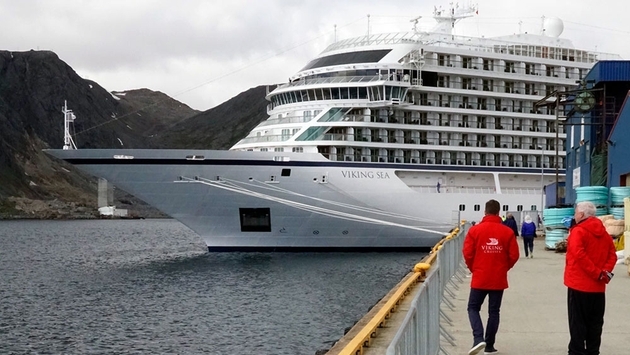 Such is the case with Viking Ocean Cruises with a number of high-ranking employees jumping ship, as it were, to the already successful sister-brand of ubiquitous Viking River Cruises. Thanks in large part to a luxury pedigree spearheaded by Founder and Chairman of parent Viking Cruises, Torstein Hagen, himself coming from Royal Viking Line, many others have followed. In fact, Erling Frydenberg, Viking Owner's Representative, has a long line of titles with companies like SeaDream Yacht Club, Silversea Cruises and Crystal Cruises, which all essentially emerged from the example set by Royal Viking originally. Now the likes of Anthony Mauboussin, Viking’s Director of Culinary Development are coming from Oceania Cruises and The World; Karl Eckl, Viking Launch General Manager, from Seabourn and Sujith Mohan, Viking General Manager, from Silversea Cruises. These are the kind of staff that have catapulted Viking to top rankings in such a short period of time. Meanwhile, sales staff are getting big boosts internationally as Norwegian Cruise Line recently appointed Camille Olivere as Senior Vice President, Sales, and Fred. Olsen Cruise Lines expands its team as well. There are lots of cruise ships out there, and they need to be filled with passengers after all. In fact, what will be particularly interesting to keep an eye on will be how cruise lines choose to employ not only executives but all crew member positions as more ever larger ships come online and additional companies like Virgin Voyages set sail. For one, it’s great that Carnival Corporation and Royal Caribbean Cruises Limited are focused first and foremost on safety training, as we recently reported. On the other hand, Crystal Cruises, with its current expansion boom, will have a challenge in scaling up while maintaining its existing high luxury standards, especially while lines like Viking draw personnel away from the existing pools. There are only so many people out there from which to pick from internally, and the key to future endeavors will be bulk training from external sources.